Kent Murdock found that photographing a wedding reception turned out to lead to a hunt for a murderer. Murdock was the chief photographer of the Courier newspaper. The job of photographing the wedding was not for the newspaper. Instead it was a private job for Patricia Canning, a member of high society, and a friend of Murdock. She was going to marry Roger Armington who was also a high ranking member of society. Murdock arrived at the wedding reception and took all of the expected shots of the wedding preparations, and the expected shots of the reception. Then he found that he was running out of film and needed a quiet place to put new film in his camera. His search for this spot took him to the third floor of this rather palatial house. When he opened a door, he found it was a closet and that the closet held a dead body. Murdock took pictures of the body, and then made a big mistake. He decided to wait to report the murder to the police until it was possible for this to be a big story in the Courier. However the murderer was ahead of him. When Murdock returned to place where he had stored his cameras and film, he found that it had all been stolen. When he returned to the closet with the body, he found that the body had also disappeared. Murdock set out on a hunt for the dead body, for the murderer, and for his stolen cameras. The cameras may have been the main reason for this hunt, but Murdock also hoped that his search would lead to a big story in the Courier. Murdock's search would involve the powerful Canning family and their paid detectives, popular musicians, and an attractive young woman named Audrey Wayne. He would also be introduced to the newest technology - the tape recorder. 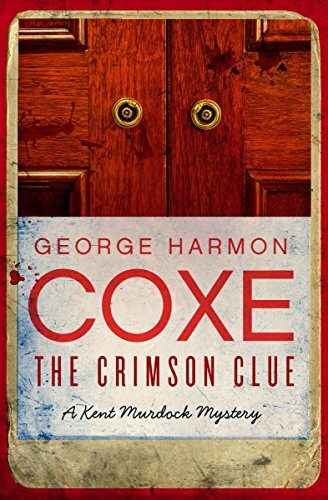 George Harmon Coxe wrote 63 mystery novels - 23 of these dealing with the adventures of Kent Murdock. Coxe was named a Grand Master of Mystery in 1964. I like Murdock because he is more laid back than the private detectives of this period, and really a nice guy. This book was published in 1955. 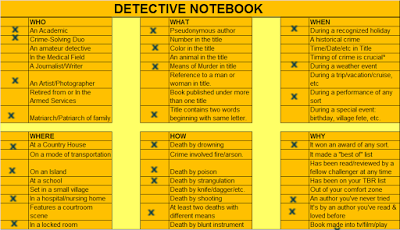 I have read it for the 2018 Just the Facts, Ma'am mystery challenge and it will be entered in my detective notebook in the category Who - a photographer.